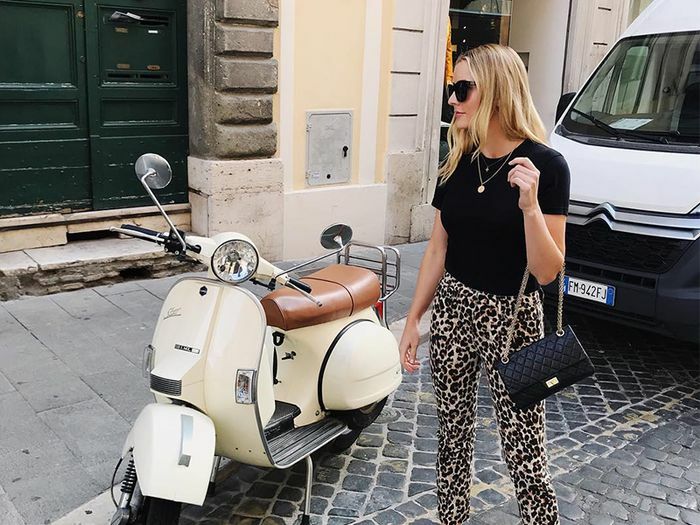 Between work trips that took me to Paris Fashion Week and Italy and personal travel back to some of those spots again, I’ve hopped the pond with travels to Europe five times over the last year. Through each of these trips, I’ve been able to refine my packing habits after learning which items were essentials and the pieces I wish I had added to my suitcase. But now, I really have it down. When it comes to planning what I’ll be bringing, I have a few categories I consider. My biggest consideration is always fashion and the outfits I’ll be wearing. But equally important are the beauty products so I don’t have too many trips to the local pharmacy. Another important essential? All of the electronics and cords I don’t want to leave behind. If you’re planning a trip overseas and want to know how to master a European packing list, I’m here to point you in the right direction. Ahead, I’m breaking down my guide for arriving with everything you need. Scroll down to see my Europe packing tips and the pieces I’ll never go abroad without. For years I traveled without proper luggage, but I finally picked up a set of matching suitcases from Away, and it was such a great investment. What I love most about these bags is they come with built-in USB chargers so I can power up my phone without having to track down an outlet. I use my bigger suitcase to pack most of my shoes and clothes that I check on the plane. My carry-on is always where I pack an extra set of clothes (in case my checked bag gets lost). But also, all of my valuables like bags, jewelry, and electronics. Here's a trick I've learned from fashion girls across the industry: Pack in outfits. If you can map out what you're wearing ahead of time, it allows you to cut down on extra pieces you won't end up wearing. I also make sure to pack versatile items that I can mix and match into different looks. I've made the mistake of buying new sneakers for a trip or forgetting to pack a pair altogether. I always end up walking around a lot, though, so I've learned my lesson. Now, I make sure to always pack a pair of sneakers that have already been broken in. These are the most comfortable sneakers I own. Instead of packing a ton of bag options, I prefer to keep a tight edit so I don't overstuff my suitcase. One of my essentials is a style like this Chanel bag that I throw across my body so I'm hands-free and can easily transition from day to night. I've owned this bag for years, and it's still my best investment purchase. In the winter, I always make sure to pack a versatile jacket like this cashmere trench from Burberry. A bulky item like this is something I want to only pack one of and be able to wear with everything. My mom actually picked up this jacket last year, and I've been borrowing it from her on repeat. Now, when it comes to summer travel, swimsuits are something I always throw in my suitcase. This is one of my favorite finds from last summer. I love the minimal lines and super-thin straps. Two of the most important pieces I make sure to pack? Devices to charge all of my electronics while I'm abroad. A travel adapter is essential for charging my laptop and phone. Another more recent addition to my travel arsenal? A portable charger that allows me to charge my iPhone on the go. This one powers your iPhone up to 4.9 times. Because I always scope out the vintage stores when I'm in a new city, I leave some extra room in my suitcase so I can pack any travel finds. This shot is from last year when I spotted a vintage store in Paris stocked with racks and racks of Chanel. How amazing is this vintage Louis Vuitton bag?